Abstract：We present anisotropy results using Ps phase in receiver functions, which are computed from the data of 81 seismic stations in northeastern margin of Tibetan Plateau. We use a modified automatic shear-wave splitting method to compute the anisotropic parameters using selected Ps phase. We would like to discuss about dynamic mechanism in this area using crustal anisotropy associated with the result of SKS-splitting and surface constraints like GPS velocity. The result can be summarized as follows. The large delay times imply that the crustal anisotropy is mainly derived from middle to lower crust rather than upper crust. In the southeastern part of the research area, crustal anisotropy agrees well with the result computed form SKS phase and GPS velocity directions trending NWW-SEE or E-W. This result implies a vertically coherent deformation in the area as the directions of crustal anisotropy trend to be perpendicular to the direction of normal stress. In the middle and north part of the research area, the fast polarization direction of crustal anisotropy is NEE-SWW or E-W, parallels the direction of GPS velocity, and differs from the direction of the result of XKS-phase. This result implies that decoupled deformation in this area is associated with middle to lower crustal flow. Argand E. 1922. La tectonique de l'Asie. Conférence faite á Bruxelles, le 10 août 1922.//Congrès Géologique International (XIIIe session)-Belgique. 171-372. Bao X W, Song X D, Xu M J, et al. 2013. Crust and upper mantle structure of the North China Craton and the NE Tibetan Plateau and its tectonic implications. Earth Planet. Sci. Lett., 369-370: 129-137. Chang L J, Wang C Y, Ding Z F, et al. 2008. Seismic anisotropy of upper mantle in the northeastern margin of the Tibetan Plateau. Chinese J. Geophys. (in Chinese), 2008, 51(2): 431-438. Chang L J, Ding Z F, Wang C Y. 2015. Upper mantle anisotropy beneath the southern segment of North-South tectonic belt, China. Chinese J. Geophys. (in Chinese), 58(11): 4052-4067, doi: 10.6038/cjg20151114. Clark M K, Royden L H. 2000. Topographic ooze: Building the eastern margin of Tibet by lower crustal flow. Geology, 28(8): 703-706. Crampin S. 1994 The fracture criticality of crustal rocks. Geophys. J. Int., 118(2): 428-438. Deng Q D, Zhang P Z, Ran Y K, et al. 2003. Basic characteristics of active tectonics of China. Sci. China (Ser. D), 46(4): 356-372. Dewey J F, Burke K C A. 1973. Tibetan, Variscan, and Precambrian basement reactivation: products of continental collision. J. Geol., 81(6): 683-692. England P, McKenzie D. 1982. A thin viscous sheet model for continental deformation. Geophys. J. Int., 70(2): 295-321. Gan W J, Zhang P Z, Shen Z K, et al. 2007. Present-day crustal motion within the Tibetan Plateau inferred from GPS measurements. J. Geophys. Res., 112(B8): B08416. Gao S S, Liu K H. 2009. Significant seismic anisotropy beneath the southern Lhasa Terrane, Tibetan Plateau. Geochem., Geophys., Geosyst., 10(2): Q02008. Gao Y, Wu J, Yi G X, et al. 2010. Crust-mantle coupling in North China: Preliminary analysis from seismic anisotropy. Chinese Sci. Bull., 55(31): 3599-3605, doi: 10.1007/s11434-010-4135-y. Gripp A E, Gordon R G. 2002. Young tracks of hotspots and current plate velocities. Geophys. J. Int., 150(2): 321-361. Guo G H, Zhang Z, Cheng J W, et al. 2015. Seismic anisotropy in the crust in northeast margin of Tibetan Plateau and tectonic implication. Chinese J. Geophys. (in Chinese), 58(11): 4092-4105, doi: 10.6038/cjg20151117. Heidbach O, Tingay M, Barth A, et al. 2010. Global crustal stress pattern based on the World Stress Map database release 2008. Tectonophysics, 482(1-4): 3-15. Li J, Wang X J, Niu F L. 2011a. Seismic anisotropy and implications for mantle deformation beneath the NE margin of the Tibet plateau and Ordos plateau. Phys. Earth Planet. Int., 189(3-4): 157-170. Li S L, Mooney W D, Fan J C. 2006. Crustal structure of mainland China from deep seismic sounding data. Tectonophysics, 420(1-2): 239-252. Li X F, Santosh M, Cheng S H, et al. 2015. Crustal structure and composition beneath the northeastern Tibetan plateau from receiver function analysis. Phys. Earth Planet. Int., 249: 51-58. Li Y H, Wu Q J, An Z H, et al. 2006. The Poisson ratio and crustal structure across the NE Tibetan Plateau determined from receiver functions. Chinese J. Geophys. (in Chinese), 2006, 49(5): 1359-1368. Li Y H, Wu Q J, Zhang F X, et al. 2011b. Seismic anisotropy of the Northeastern Tibetan Plateau from shear wave splitting analysis. Earth Planet. Sci. Lett., 304(1-2): 147-157. Liu M, Mooney W D, Li S, et al. 2006. Crustal structure of the northeastern margin of the Tibetan plateau from the Songpan-Ganzi terrane to the Ordos basin. Tectonophysics, 420(1-2): 253-266. Liu Q M, Zhao J M, Lu F, et al. 2014. Crustal structure of northeastern margin of the Tibetan Plateau by receiver function inversion. Sci. China: Earth Sci., 57(4): 741-750, doi: 10.1007/s11430-013-4772-5. Niu Z J, Wang M, Sun H R, et al. 2005. Contemporary velocity field of crustal movement of Chinese mainland from Global Positioning system measurements. Chinese Science Bulletin, 2005, 50(9): 939-941, doi: 10.1007/BF02897392. Qiang Z Y, Wu Q J, Li Y H, et al. 2016. Crustal anisotropy beneath central-south Mongolia and its dynamic implications. Chinese J. Geophys. (in Chinese), 59(5): 1616-1628, doi: 10.6038/cjg20160507. Royden L. 1996. Coupling and decoupling of crust and mantle in convergent orogens: Implications for strain partitioning in the crust. J. Geophys. Res. Solid Earth, 101(B8): 17679-17705. Savage M K. 1999. Seismic anisotropy and mantle deformation: What have we learned from shear wave splitting?. Rev. Geophy., 37(1): 65-106. Savage M K, Wessel A, Teanby N A, et al. 2010. Automatic measurement of shear wave splitting and applications to time varying anisotropy at Mount Ruapehu volcano, New Zealand. J. Geophys. Res. Atmos., 2010, 115(B12): B123211-70. Shen X Z, Yuan X H, Ren J S. 2015. Anisotropic low-velocity lower crust beneath the northeastern margin of Tibetan Plateau: Evidence for crustal channel flow. Geochem., Geophy., Geosyst, 16(12): 4223-4236. Silver P G, Chan W W. 1988. Implications for continental structure and evolution from seismic anisotropy. Nature, 335(6185): 34-39. Silver P G, Chan W W. 1991. Shear wave splitting and subcontinental mantle deformation. J. Geophys. Res. : Solid Earth, 96(B10): 16429-16454. Silver P G. 1996. Seismic anisotropy beneath the continents: Probing the depths of geology. Ann. Rev. Earth Planet. Sci., 24(1): 385-432. Tapponnier P, Peltzer G, Le Dain A Y, et al. 1982. Propagating extrusion tectonics in Asia: New insights from simple experiments with plasticine. Geology, 10(12): 611-616. Tapponnier P, Xu Z Q, Roger F, et al. 2001. Oblique stepwise rise and growth of the Tibet plateau. Science, 294(5547): 1671-1677. Teanby N A, Kendall J M, Baan M V D. 2004. Automation of shear-wave splitting measurements using cluster analysis. Bull. Seismol. Soc. Am., 94(2): 453-463. Wüstefeld A, Bokelmann G, Barruol G, et al. 2009. Identifying global seismic anisotropy patterns by correlating shear-wave splitting and surface-wave data. Phys. Earth Planet. Int., 2009, 176(3-4): 198-212. Wang C Y, Chang L J, Lü Z Y, et al. 2007. Seismic anisotropy of upper mantle in eastern Tibetan Plateau and related crust-mantle coupling pattern. Science in China Series D: Earth Sciences, 50(8): 1150-1160. Wang C Y, Flesch L M, Silver P G, et al. 2008. Evidence for mechanically coupled lithosphere in central Asia and resulting implications. Geology, 36(5): 363-366. Wang Q, Zhang P Z, Freymueller J T, et al. 2001. Present-day crustal deformation in China constrained by global positioning system measurements. Science, 294(5542): 574-577. Wang Q, Niu F L, Gao Y, et al. 2016. Crustal structure and deformation beneath the NE margin of the Tibetan plateau constrained by teleseismic receiver function data. Geophys. J. Int., 2016, 204(1): 167-179. Wessel A. 2010. Automatic shear wave splitting measurements at Mt. Ruapehu Volcano, New Zealand[Master thesis]. Victoria University of Wellington. Wessel P, Smith W H F. 1998. New, improved version of Generic Mapping Tools released. EOS, Trans. Amer. Geophys. Union, 79(47): 579. Wu J, Zhang Z J, Kong F S, et al. 2015. Complex seismic anisotropy beneath western Tibet and its geodynamic implications. Earth Planet. Sci. Lett., 413: 167-175. Yang Y, Chen J Y, Yang X S, et al. 2010. Does alignment of melt enhance seismic anisotropy beneath Tibet?. Seismology and Geology (in Chinese), 32(1): 59-69. Ye Z, Gao R, Li Q S, et al. 2015. Seismic evidence for the North China plate underthrusting beneath northeastern Tibet and its implications for plateau growth. Earth Planet. Sci. Lett., 426: 109-117. Ye Z, Li Q S, Gao R, et al. 2016. Anisotropic regime across northeastern Tibet and its geodynamic implications. Tectonophysics, 671: 1-8. Yin A, Harrison T M. 2000. Geologic evolution of the Himalayan-Tibetan orogen. Ann. Rev. Earth Planet. Sci., 28(1): 211-280. Yuan D Y, He W G, Liu X F, et al. 2006. The characteristics of seismogenic structure of middle-strong earthquakes in recent 10 years, Gansu Province. Northwestern Seismological Journal (in Chinese), 2006, 28(3): 235-241. Zhang G C, Wu Q J, Li Y H, et al. 2013. An investigation on crustal anisotropy of Northeast China using Moho Ps converted phase. Acta Seismologica Sinica (in Chinese), 35(4): 485-497. Zhang H, Gao Y, Shi Y T, et al. 2012. Tectonic stress analysis based on the crustal seismic anisotropy in the northeastern margin of Tibetan plateau. Chinese J. Geophys. (in Chinese), 2012, 55(1): 95-104, doi: 10.6038/j.issn.0001-5733.2012.01.009. Zhang H S, Teng J W, Tian X B, et al. 2012. Lithospheric thickness and upper-mantle deformation beneath the NE Tibetan Plateau inferred from S receiver functions and SKS splitting measurements. Geophys. J. Int., 191(3): 1285-1294. Zhang Z J, Bai Z M, Klemperer S L, et al. 2013. Crustal structure across northeastern Tibet from wide-angle seismic profiling: Constraints on the Caledonian Qilian orogeny and its reactivation. Tectonophysics, 606: 140-159. Zhu L, Kanamori H. Moho depth variation in southern California from teleseismic receiver functions. Journal of Geophysical Research: Solid Earth, 2000, 105(B2): 2969-2980. Zhu S, Yang B. 2014. Analysis of recent horizontal deformation in the northeastern margin of the Qinghai-Tibetan plateau. Journal of Geodesy and Geodynamics (in Chinese), 34(3): 81-85. 常利军, 王椿镛, 丁志峰等. 2008. 青藏高原东北缘上地幔各向异性研究. 地球物理学报, 51(2): 431-438. 常利军, 丁志峰, 王椿镛. 2015. 南北构造带南段上地幔各向异性特征. 地球物理学报, 58(11): 4052-4067, doi: 10.6038/cjg20151114. 邓起东, 张培震, 冉勇康等. 2002. 中国活动构造基本特征. 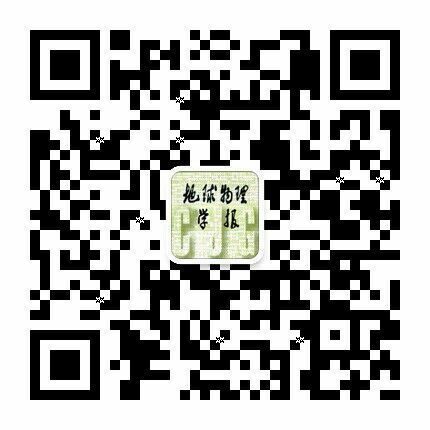 中国科学: 地球科学, 32(12): 1020-1030. 高原, 吴晶, 易桂喜等. 2010. 从壳幔地震各向异性初探华北地区壳幔耦合关系. 科学通报, 55(29): 2837-2843. 郭桂红, 张智, 程建武等. 2015. 青藏高原东北缘地壳各向异性的构造含义. 地球物理学报, 58(11): 4092-4105, doi: 10.6038/cjg20151117. 李永华, 吴庆举, 安张辉等. 2006. 青藏高原东北缘地壳S波速度结构与泊松比及其意义. 地球物理学报, 49(5): 1359-1368. 强正阳, 吴庆举, 李永华等. 2016. 蒙古中南部地区地壳各向异性及其动力学意义.地球物理学报, 59(5): 1616-1628, doi: 10.6038/cjg20160507. 王椿镛, 常利军, 吕智勇等. 2007. 青藏高原东部上地幔各向异性及相关的壳幔耦合型式. 中国科学: 地球科学, 37(4): 495-503. 王琼, 高原, 石玉涛等. 2013. 青藏高原东北缘上地幔地震各向异性: 来自SKS、PKS和SKKS震相分裂的证据. 地球物理学报, 56(3): 892-905, doi: 10.6038/cjg20130318. 杨彧, 陈建业, 杨晓松等. 2010. 部分熔融强化了青藏高原地壳的各向异性?. 地震地质, 32(1): 59-69. 袁道阳, 何文贵, 刘小凤等. 2006. 10余年来甘肃省中强地震的发震构造特征. 西北地震学报, 28(3): 235-241. 张广成, 吴庆举, 李永华等. 2013. 利用莫霍面Ps震相研究中国东北地区地壳各向异性. 地震学报, 35(4): 485-497. 张辉, 高原, 石玉涛等. 2012. 基于地壳介质各向异性分析青藏高原东北缘构造应力特征. 地球物理学报, 55(1): 95-104, doi: 10.6038/j.issn.0001-5733.2012.01.009. 朱爽, 杨博. 2014. 青藏高原东北缘近期水平形变场分析. 大地测量与地球动力学, 34(3): 81-85. 郭晓玉, 高锐, 高建荣, 徐啸, 王海燕, 黄兴富, 李文辉, 李洪强. 综合数据分析青藏高原东北缘六盘山地区构造形变及其构造成因独特性探讨[J]. 地球物理学报, 2017, 60(6): 2058-2067. 梁姗姗, 雷建设, 徐志国, 邹立晔, 刘敬光. 2016年1月21日青海门源MS6.4余震序列重定位和主震震源机制解[J]. 地球物理学报, 2017, 60(6): 2091-2103. 张艺, 高原. 中国地震科学台阵两期观测资料近场记录揭示的南北地震带地壳剪切波分裂特征[J]. 地球物理学报, 2017, 60(6): 2181-2199. 肖卓, 高原. 利用双差成像方法反演青藏高原东北缘及其邻区地壳速度结构[J]. 地球物理学报, 2017, 60(6): 2213-2225. 李文辉, 高锐, 王海燕, 李英康, 李洪强, 侯贺晟, 熊小松, 郭晓玉, 徐啸, 邹长桥, 梁宏达. 六盘山断裂带及其邻区地壳结构[J]. 地球物理学报, 2017, 60(6): 2265-2278. 潘佳铁, 李永华, 吴庆举, 丁志峰, 余大新. 基于密集流动地震台阵的青藏高原东北缘及邻区Rayleigh波相速度层析成像[J]. 地球物理学报, 2017, 60(6): 2291-2303. 钟世军, 吴建平, 房立华, 王未来, 范莉苹, 王怀富. 青藏高原东北缘及周边地区基于程函方程的面波层析成像[J]. 地球物理学报, 2017, 60(6): 2304-2314. 刘庚, 高原, 石玉涛. 秦岭造山带及其两侧区域地壳剪切波分裂[J]. 地球物理学报, 2017, 60(6): 2326-2337. 钱旗伟, 吴晶, 刘庚, 沙成宁, 马建新, 白占孝, 赵燕杰, 刘小梅. 青藏高原东北缘中上地壳介质各向异性及其构造意义[J]. 地球物理学报, 2017, 60(6): 2338-2349. 詹艳, 杨皓, 赵国泽, 赵凌强, 孙翔宇. 青藏高原东北缘海原构造带马东山阶区深部电性结构特征及其构造意义[J]. 地球物理学报, 2017, 60(6): 2371-2384. 郑拓, 丁志峰, 常利军, 郑晨, 张辉, 李大虎. 汶川地震断裂带科学深钻WFSD-3附近上地壳S波分裂特征[J]. 地球物理学报, 2017, 60(5): 1690-1702. 鲍子文, 高原. 天山构造带及邻区地壳各向异性[J]. 地球物理学报, 2017, 60(4): 1359-1375. 姚陈, 郝重涛, 张广利. SKS波对地壳裂隙各向异性的响应——理论地震图研究[J]. 地球物理学报, 2016, 59(7): 2498-2509. 强正阳, 吴庆举, 李永华, 何静, 高孟潭, M. Ulziibat, S. Demberel. 蒙古中南部地区地壳各向异性及其动力学意义[J]. 地球物理学报, 2016, 59(5): 1616-1628. 齐少华, 刘启元, 陈九辉, 郭飚. 接收函数的曲波变换去噪[J]. 地球物理学报, 2016, 59(3): 884-896.